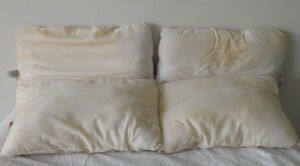 It is said that our mattresses and pillows over the years collect lbs. of sweat and “other things” … Here’s how to tell if your pillow is doing its job: Is the foam or batting inside the form lumpy or bumpy? Does your feather pillow have to be punched or fluffed up for support? 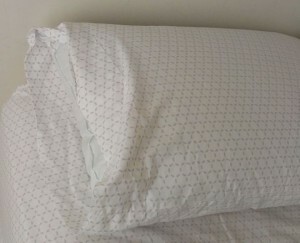 If you fold the pillow in half, does it stay folded? If you answered yes to any of these, it’s time for a nice, new pillow. Woo Hoo — your mission of nurturing accomplished!! Much appreciated — I will! Thanks Carol — sometimes my spam filter won’t allow comments on older posts, depending on what browser is used. Please let me know if you ever have a problem commenting in the future.